One of the primary reasons I began working on Bible studies by email in the late 1990’s and then utilizing internet “bulletin boards” and lists and then setting up a website for women was the clear need I was seeing for the proclamation of the Truth — I saw a need for gathering edifying good things for women. And then, just as were previously in the magazines and bookstores, I began to see all sorts of enticing words and trends, all sorts of “near truth.” It is *NEAR TRUTH* that causes women to fall headlong into grave deception. It’s not new. It’s the oldest deception: near truth. Think: Hath God said, Eve? I have, all these years, attempted to shine a light on Truth — to proclaim God’s inerrant Word and to encourage women to know it, walk in it, love it. To love the Truth and sell it not, give it not away, drop it not, let none of it fall to the ground. So much so, that I fell into putting this very endeavor over my other responsibilities a lot of times. And so, now, with that clear understanding and repenting of skewed priorities, I am seeking to keep a careful balance of this — things I must do first as ministry to and for my husband, family and home and things I do bcz the Lord has led me to use this and other ministries for others. I’m going to use this section or this page of TheWelcomeHome to give warning or to caution women to be very careful the teachings we read/listen to/believe/adopt and repeat. I will give links to articles using sound doctrine to refute teachings and will use direct quotes and not hearsay in whatever warnings I’ll post. I’m doing this primarily to sharpen my own focus and to be very careful what I take in as “truth” each day. As iron sharpens iron, so I desire to be very careful to not criticize, malign, slander, gossip or take statements out of context — but to tell the Truth that the Word of God be not blasphemed. In the last few years there have been staggering numbers of women who’ve walked away from the Truth (Sola Scriptura (Scripture Alone), Sola Gratia (Grace Alone), Sola Fide (Faith Alone) Solus Christus (Christ Alone), and Soli Deo Gloria (To God Alone Be Glory) and have begun mixing o adding to a little (convenient) Truth with other religions, other gods, other traditions, practices and beliefs. I’ve come to believe that this –-to me-– is more grievous, more dangerous and more appalling than ignorance of the Truth. New “spirituality” is so seductive, so chic, so cool, so now! It will trap you and wrap you up before you even know it. I pray for discernment and courage to speak the Truth in love. If you’re following a particular teacher, you may have inadvertently begun to accept her methods, beliefs, ideology and theology—these all shape your thinking, your decisions, your behavior and what you teach others. Be careful. Be circumspect. Be wise. or acting like this or that erroneous teaching, personality, style or trend. The grace, mercy, freedom, and Truth in Christ is enough. My “warnings” will be in the form of links for the most part—unless I have personal, actual conversations. You wanna know why I started this page now and didn’t wait until it was all loaded up with links before publishing? I’ll tell you. Placenta eating; the chic “new” practice of new mamas eating their placentas. Seriously. Recently working with a group of midwives and attending different births, I was seeing (or hearing, rather) the practice and naively went along to get along… it was normal teaching. I got caught up accepting the practice as a healthful thing to do even though inside I had questions. Shoulda listened to that Still Small Voice — I can’t, don’t, won’t continue to go along with/agree/recommend/encourage this practice. I know that when something like this comes up and I respond that there’s no biblical precedent for placentophagia (eating of placenta after birth), then it must be okay—that the absence of reference to it may mean there is nothing wrong with it. But there isn’t an absence of reference to this–in fact, the reference to eating of children/placenta/afterbirth is addressed as a curse within Deuteronomy 28.47-62. Refer to Acts 15.20 I tend to think that there is something wrong when things are not addressed that would be common occurrences in all places for all people for all time–as is childbirth. Read more here and another very well written, biblically based piece here — and for a medical doctor’s and a nurse’s view, here and here. And one more, neither for nor against the practice, just some points to ponder, here. 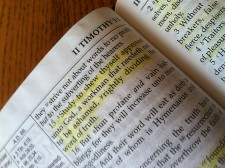 I will continually say, point to, and affirm: 2Timothy2.15. but good doctrine DIVIDES heresy and truth. COLOURING – the coolest new trend since… pictionary? scattergories? the internet? whatever.else.you.coudn’t.get.enough.of? Colouring books, colouring, adult colouring books – the trendiest trend to come along in a long time. BE CAREFUL WHAT YOU’RE COLOURING… SERIOUSLY. Michelle Lesley has some great links that will help you identify and discern the teachings of very popular women in conference circles (in addition to the few I’ve posted just above). 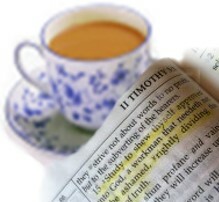 Lisa Bevere – beware of scripture twisting. This, from pulpit & pen; much more regarding her husband, John.